His Majesty The King’s Commemorative Medal was founded by King Haakon VII in 1906. It is conferred for particularly meritorious service to His Majesty the King. 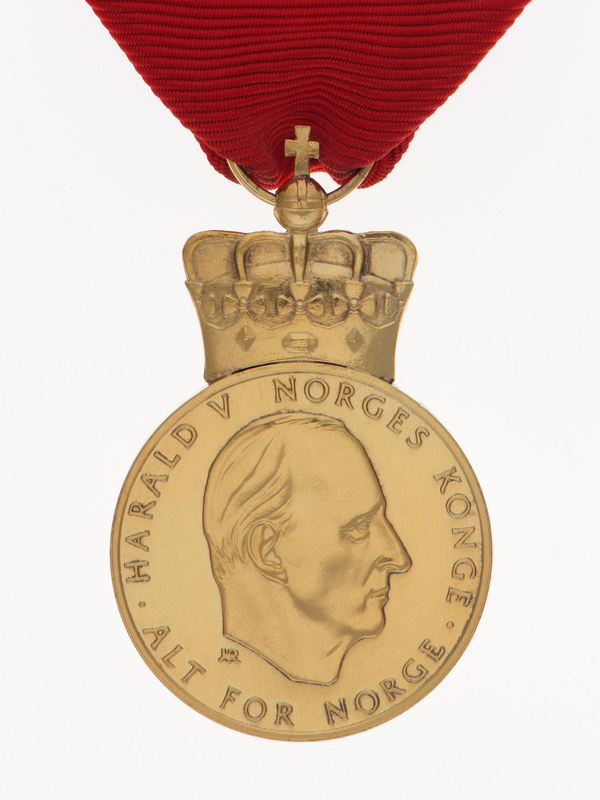 The medal may also be conferred on foreign nationals in connection with state visits and visits of the King abroad, on those who have served at a Norwegian foreign service mission, and on others in recognition for special services. The medal is conferred in silver or gold. 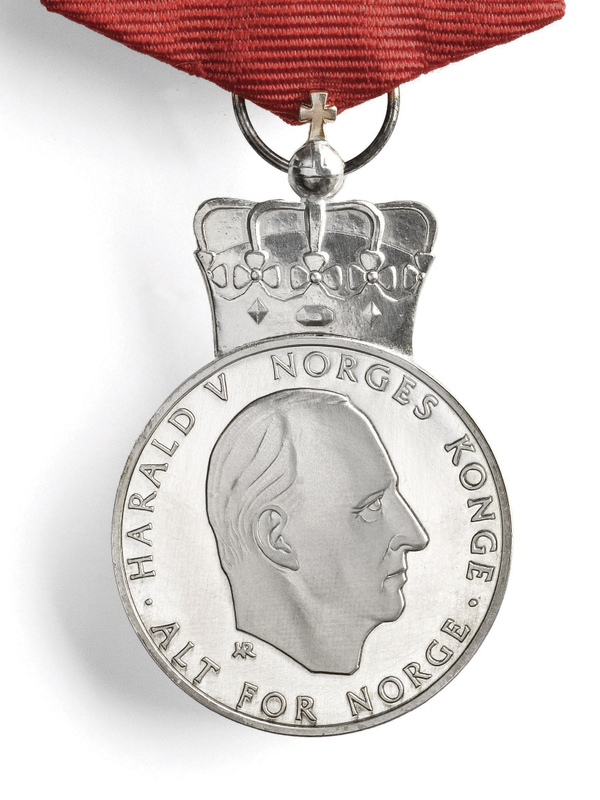 On the obverse the medal bears the likeness of the reigning Monarch with his name and motto. On the reverse the Monarch’s monogram appears. The medal is decorated with a crown and an orb with a cross. The medal is the property of the person on whom it is conferred and is not to be returned. The medal is worn on the left breast, suspended from a horizontal ribbon of the same red colour as the Banner of the Realm.